Robert Katz has benefited firm clients in the areas of utility patents and industrial designs. He has drafted and prosecuted to issuance numerous and significant utility patents in the U.S. and in foreign countries. These clients include Fortune 500 companies as well as many individual inventors and small companies who rely on strong patent protection in their marketplaces. The patents have been directed primarily to mechanical and electromechanical devices, and to software and computer-related inventions. Many patents drafted and prosecuted by Mr. Katz have been successfully enforced with some having served as the cornerstone for the successful sale of companies. Mr. Katz has also provided advice and prepared opinions regarding the patentability of inventions, patent infringement, patent validity, and trade secret protection to help clients properly assess the advantages and disadvantages of certain intellectual property and business decisions. 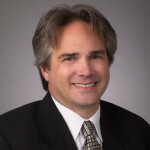 In patent and trademark litigation matters, he has assisted clients in enforcing and defending intellectual property related claims at the district court and the Court of Appeals for the Federal Circuit, and in the International Trade Commission. Both nationally and internationally, Mr. Katz is considered one of the premier practitioners in the field of industrial designs, leading the way in the procurement and enforcement of design patents. On behalf of the firm’s clients, he has helped procure more than 7,000 design patents in the U.S. and more than 20,000 design patents/registrations outside the U.S., and has helped to successfully enforce over 100 design patents. Leaders from foreign design patent offices have consulted with him regarding industrial design policies, and he has served as an expert in design patent litigations. He also prepared and filed an amicus brief in the U.S. Supreme Court on behalf of IDSA (Industrial Designers Society of America). He is a frequent speaker on industrial design-related topics and has been invited to speak before industry and legal professional organizations on six continents. He has spoken at conferences and seminars hosted by ABA (American Bar Association), AIPLA (American Intellectual Property Law Association), FICPI (Federation International des Conseils en Propriete Industrielle), INTA (International Trademark Association), IPO (Intellectual Property Owners Association), IPR University Center (Finland), the U.S. Patent and Trademark Office (USPTO), and WIPO (World Intellectual Property Office). Representatives from the Japanese Patent Office, the Korean Patent Office, and WIPO have consulted with him on issues of design patent harmonization. Mr. Katz has written articles addressing issues relating to utility patent, design patent, and trade dress rights. He has authored a section entitled “Writing Patents for Litigation and Licensing” for a published book by BNA Publishing and co-authored a chapter entitled “Protecting and Enforcing Design Rights in the United States” for World Trademark Review‘s Designs: A Global Guide 2018. He is currently a professor at George Washington University Law School, teaching Design Law, and was formerly a professor at Georgetown University Law School, teaching Intellectual Property Pretrial Litigation Skills. Mr. Katz holds leadership positions in several professional organizations, including ABA, AIPLA, FICPI and INTA. He is the current Chair of INTA’s Designs Committee and Vice President of FICPI’s U.S. Section. For the ABA Section of Intellectual Property Law, he currently serves as Liaison to FICPI. He also serves as a member of the Industrial Designs working group of the AIPLA Special Committee on Legislation. He is a former Chair of the Industrial Design Section for both FICPI and AIPLA, and also a member of IDSA, IPO and PTAB Bar Association. Mr. Katz earned his Bachelor of Science degree in Mechanical Engineering from Carnegie-Mellon University, and his Juris Doctor degree, with honors, from George Washington University. He is admitted to practice before many courts, including the U.S. Supreme Court, the U.S. Court of Appeals for the Federal Circuit and the U.S. District Court for the Eastern District of Virginia. He is a member of the bar in Virginia and the District of Columbia, and is registered to practice before the USPTO. Mr. Katz is recognized as a top patent practitioner by IAM, MIP and Legal 500, and is AV Peer Review Rated by the LexisNexis Martindale-Hubbell Ratings. He was named one of the “Top 50 Under 45” intellectual property attorneys in 2008 by IP Law and Business. Mr. Katz practices in the Washington, D.C. office of Banner & Witcoff, Ltd.